ISSB stands for Inter Service Selection Board that selects the most suitable candidates for officer commissions in all three armed forces of Pakistan, Navy, Air Force and Army. 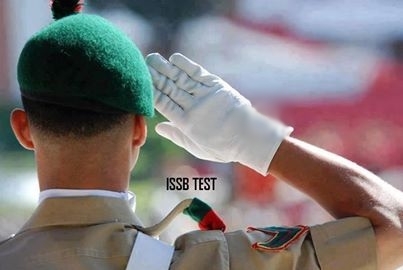 ISSB provides the best opportunity to all the candidates who want to join armed forces of Pakistan as the candidates who pass the ISSB selection procedure can join any of the three armed forces according to their preference. But passing ISSB selection procedure is not a easy test as applicants have to undergo a very tough 5 days of psychological screening to prove that they have the capabilities and personality which is required to become a member country’s armed forces. The candidates abilities are tested from various angles like physical fitness, courage to stand against difficulties and ability to stay calm under pressure. As the training for the ISSB be tests is not officially allowed so candidates have to struggle hard for preparation. So to make things a little less difficult and complicated, here we have provided you everything that you need to prepare for the ISSB initial test in the best possible way. First here we have uploaded ISSSB initial test past papers through which you can generate a clear idea about what kind of paper you may have to attempt in the exam. As the time allowed for attempting the ISSB initial test is really short, so by preparing the past papers you will also be able to decide that within how much time you have to attempt each question. Along with the past papers, the ISSB initial test model MCQ’s tests are also available on this page for online preparation. After preparing the Past papers and other available material, you can then come to this page to take a model MCQ quiz. As by doing this, you will be able to generate some idea about how well prepared you really are for the actual ISSB initial test. So instead of paying heavy tuition fees or wasting time on searching the web for preparation, you can simply visit this page and download everything with just one click. If you are facing any problem in downloading a file or need some further guidance regarding ISSB initial test, than just leave your query in the comments section and we will reply you with all the relevant information.